If you're tempted by a red lip, but just want a taste of the enticing hue, reach for Eden, a sinfully semisheer, apple red with a juicy, high-gloss finish. This easy-to-wear, flattering shade suits all skin tones and provides enough opacity for the vibrant color to truly pop, while subtle hints of holographic green shimmer make teeth appear whiter. The nourishing formula contains a garden of natural oils including Sunflower Seed, Meadowfoam Seed and Olive, to repair and protect lips, while the silky-smooth texture glides on for comfortable, buildable color that feels just like your lips have reached paradise. 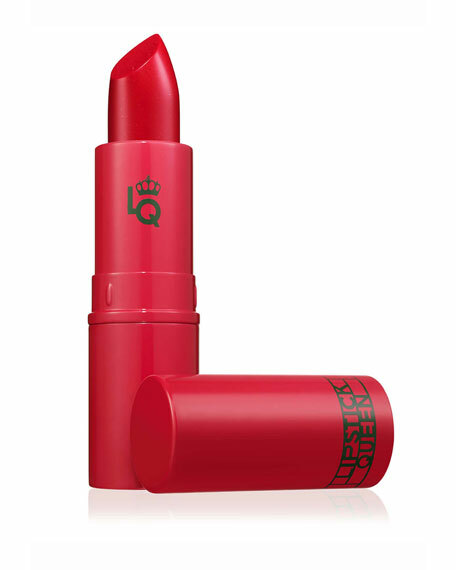 Designed to be applied straight from the lipstick bullet  no lip brush required.